Willich and Van Derveer advance on Govan. With the two brigades in front, and Barnes to the north, Govan is almost surrounded. 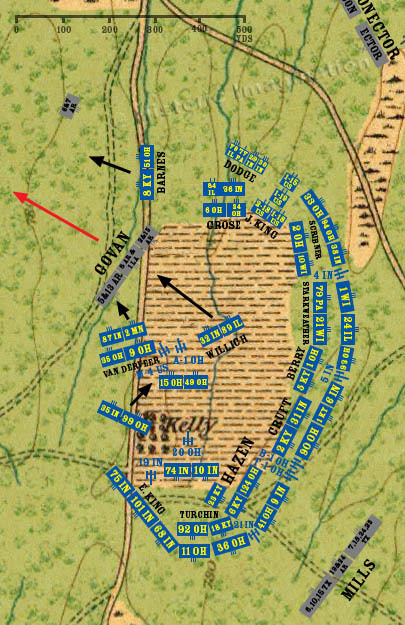 Since they cannot move back they way they came from the north, Govan’s men retreat to the west, and follow a circuitous route back to the Confederate lines.